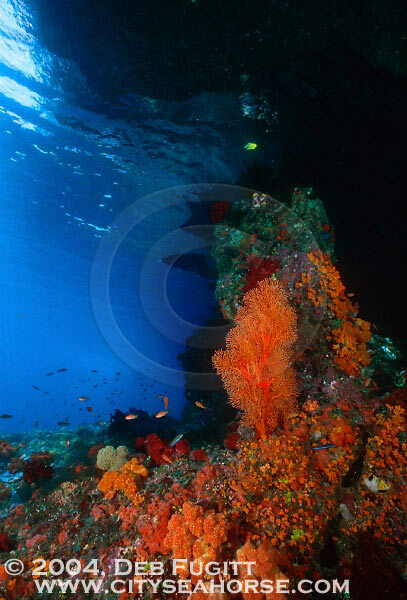 I like to dive shallow around the edges of the small rock islands in Rajah Ampat. There can be some stiff currents but that can also equal profuse coral growth and vibrant colors that are already well lit by the sun. This particular spot was amazing. I enjoyed just hanging out there and watching the colors change as clouds came and wen. Nikonos V, 15mm lens, 2 YS-300's manual. Cloudy.